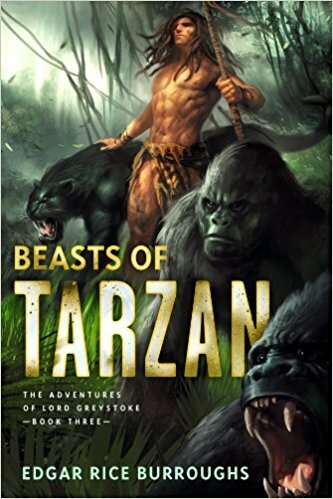 As the rich Lord Greystoke, Tarzan found himself the target of greedy, evil men. Stranded on a desert island, his wife and son kidnapped, Tarzan's plight seemed helpless. But with the help of Sheeta, the ferocious panther, and the great ape Akut, Tarzan crafted his escape with the giant Mugambi. Yet the trail of the kidnappers led deep into the interior--and it would take all of Tarzan's skills to reach his family in time.